A new Dena’ina interpretive sign on Powerline Pass will feature the wolverine. It’s part of a larger project to develop interpretive signs that will feature Dena’ina stories throughout the Anchorage area. Jim Fall is a cultural anthropologist for the Subsistence Division at Alaska Department of Fish and Game. 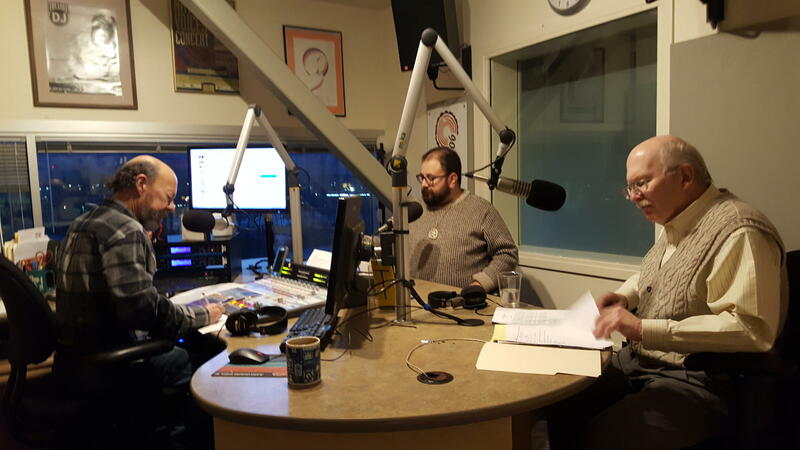 Aaron Leggett and Jim Fall talk about a new Dena'ina interpretive sign. Chugach State Park reached out to Fall and Aaron Leggett to develop an interpretive sign along the Powerline Trail. Leggett is the curator of Alaska history and culture at the Anchorage Museum. An event will take place 3 p.m. Friday in the parking lot of Glen Alps trailhead, where participants will walk about a quarter-mile up the trail to see the sign.